If technology is to add value to the entire learning experience, then it must function in both resource-rich as resource-limited contexts. In order to determine how the Keywords Biology app could develop as a 21st century learning tool, we tested the concept with teachers working in rural schools, in Uganda. 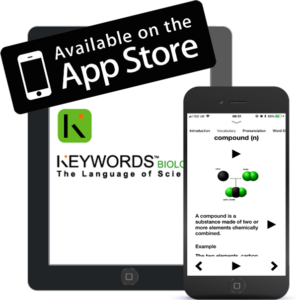 With ample evidence already collected from resource-rich contexts to indicate that the Keywords Biology app could support young people with the academic language of Biology and help improve learning outcomes, teachers in rural schools were selected to evaluate how such a methodology could work in their contexts. To support Science teachers, I ran a one-day training session in science literacy. On the second day, I looked at creative education along with an introduction to using solar powered iPads for teaching and learning. Data gathered from the study indicates the methodology used for both the teacher training programme, the use of solar-powered technology along with the Keywords English app were appropriate for this context. These results along with the training needs of teachers working in such contexts will be taken forward to the next stage of development.